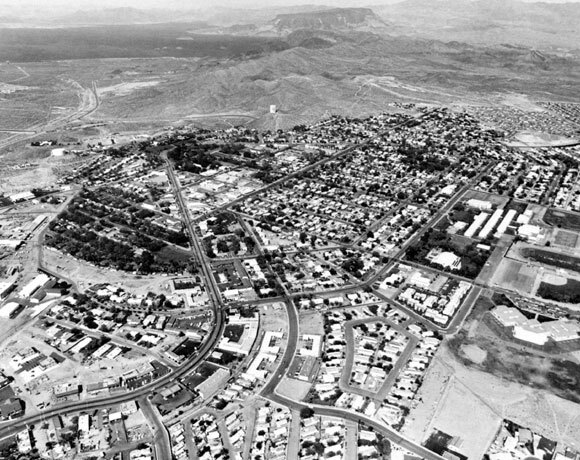 Boulder City was established as a federal reservation to house the dam workers. It was originally planned for construction prior to initiating work on the dam. 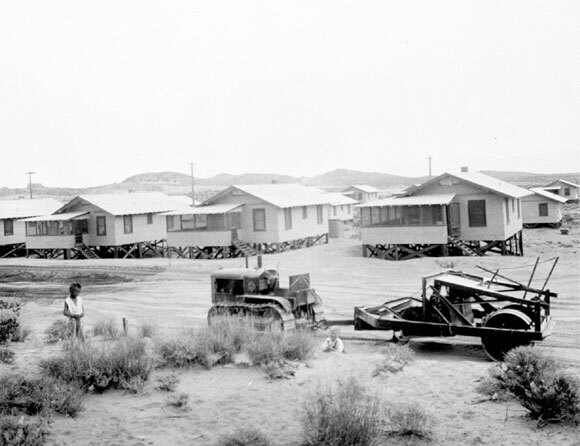 However, the Hoover administration was anxious for work to begin on the dam, to improve its poor reputation as being insensitive to the needs of the depression poor. Construction began in April, 1931 under the watchful eye of Felix Kahn and the first occupants were settled in beginning in late fall of 1931 and winter of 1932. Crude as the housing may have been, it was a welcome relief from living in the tents and cardboard structures in Ragtown.